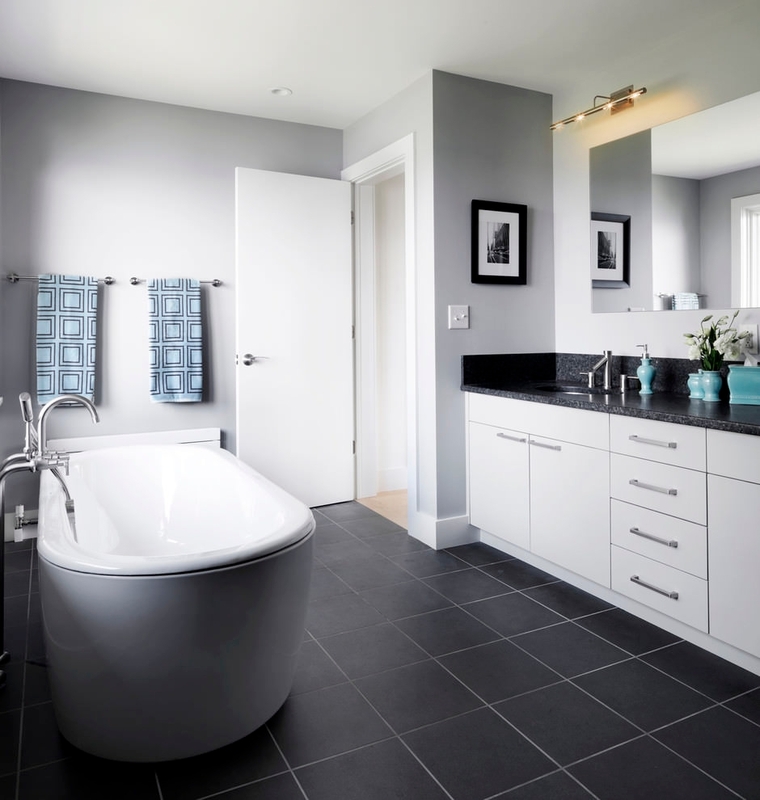 Grey is a popular color theme nowadays. 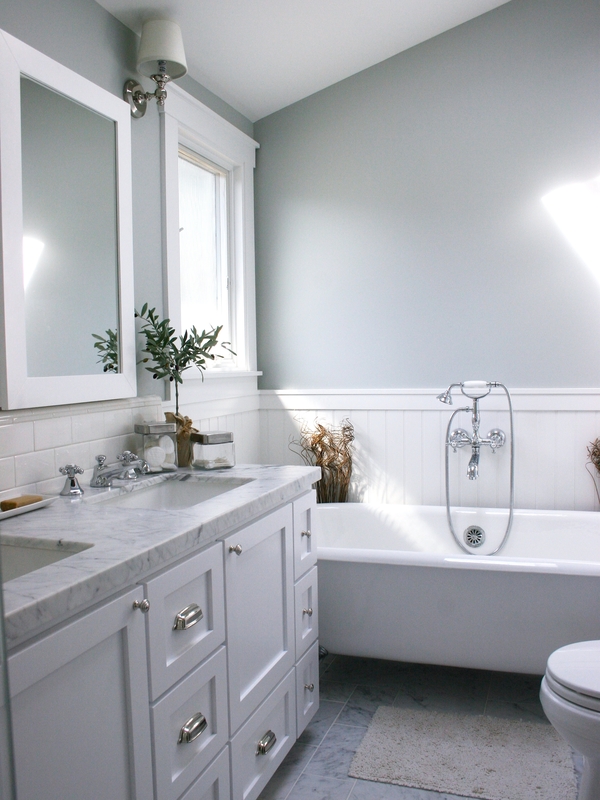 Grey bathroom looks stylish. 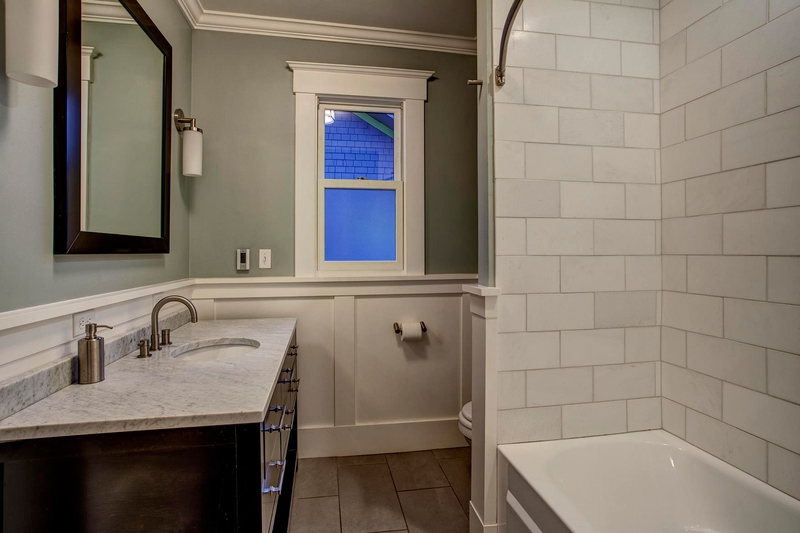 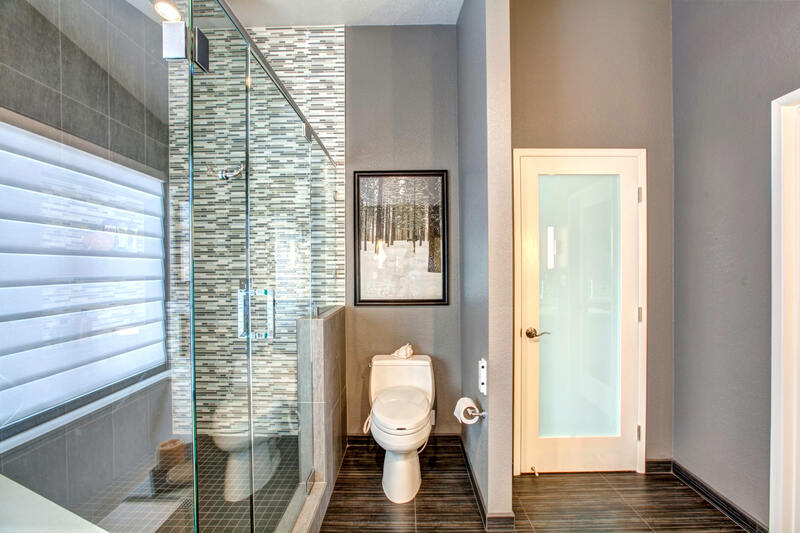 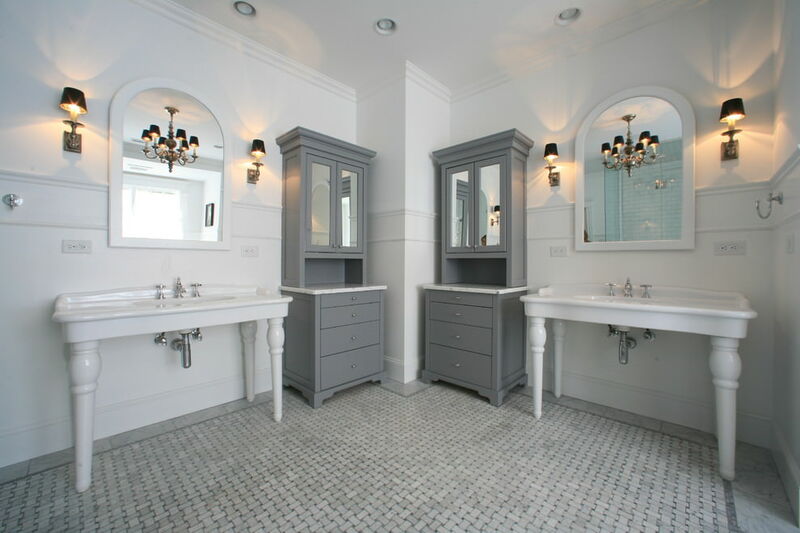 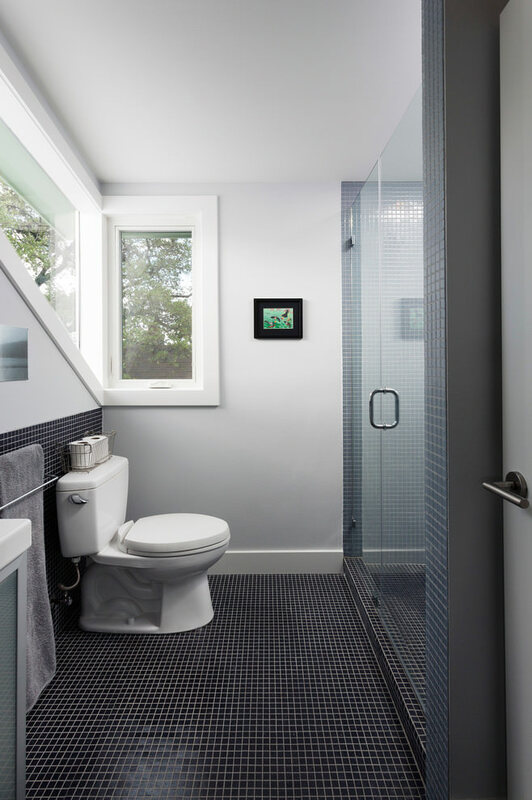 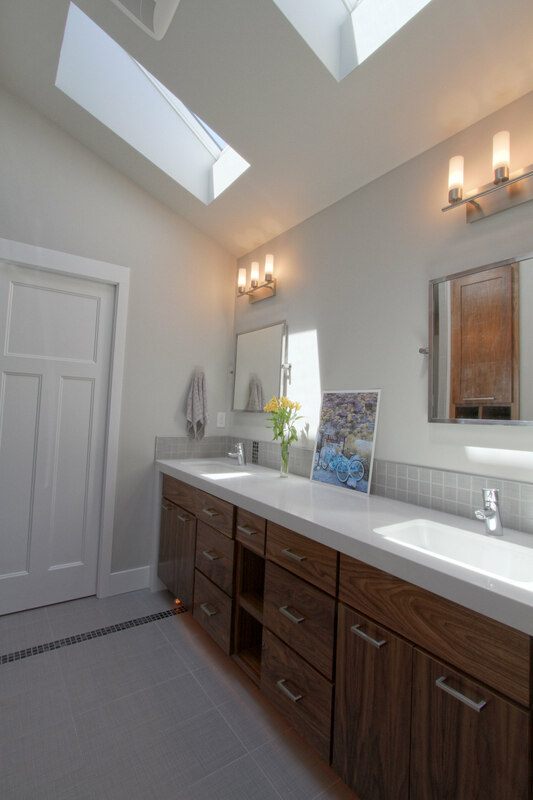 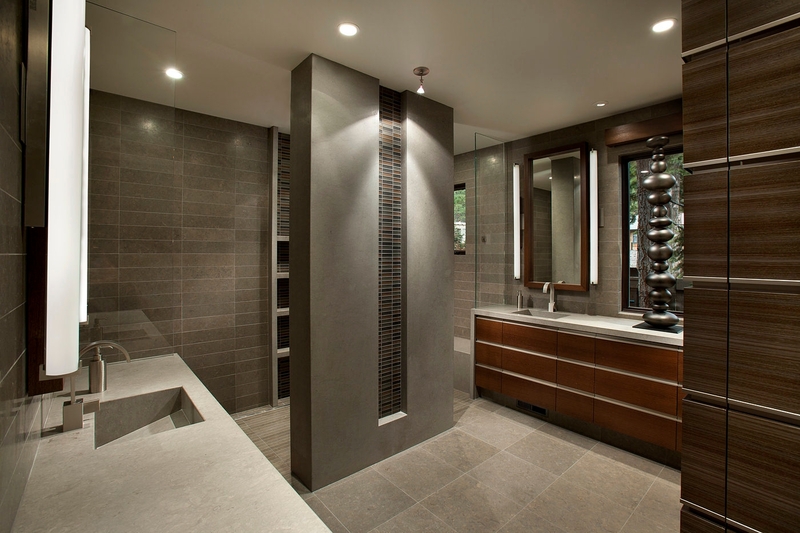 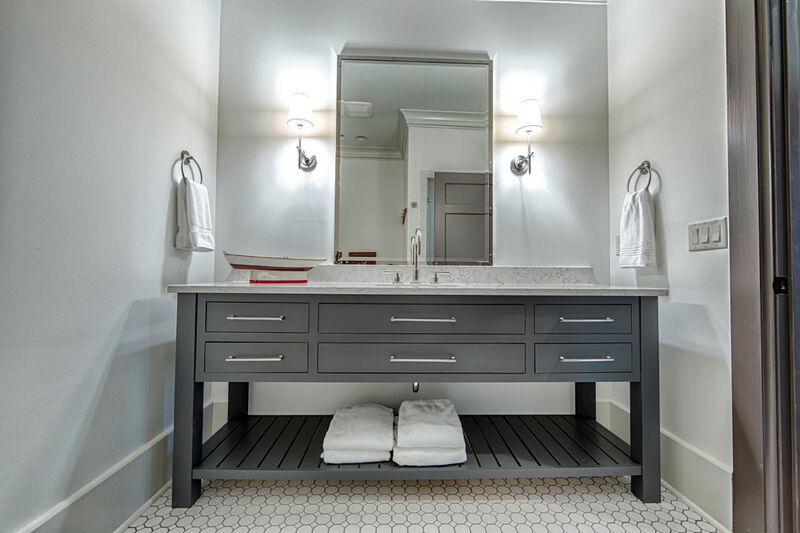 Grey bathrooms are elegant as the impression it creates. 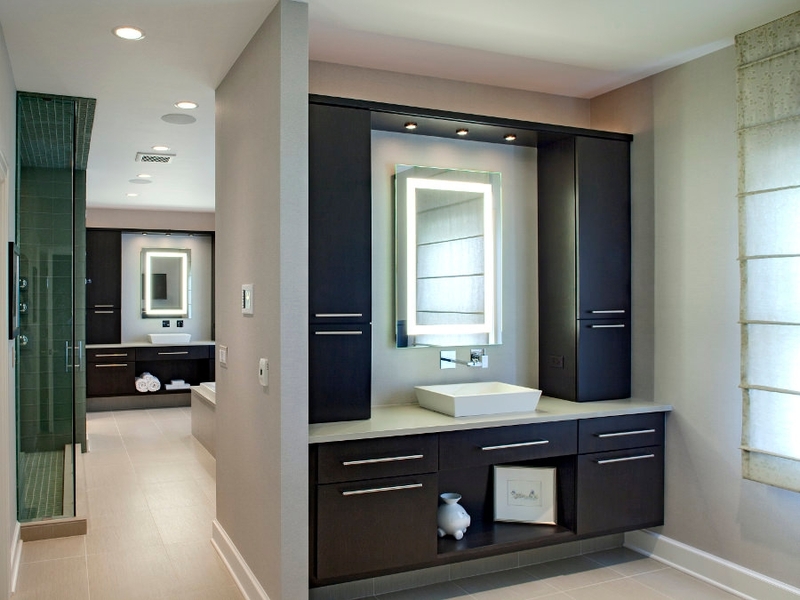 The minimal accents make you feel the room sleek and uncluttered. 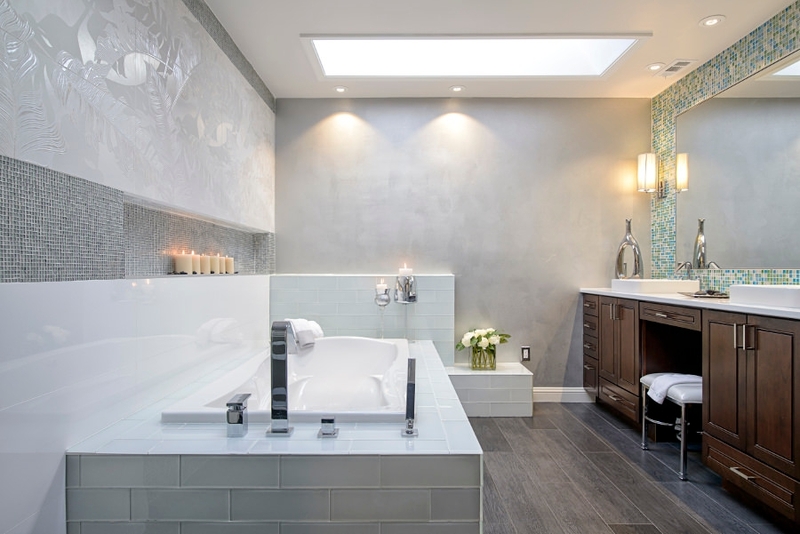 Choose large square tiles which will make the space look larger. 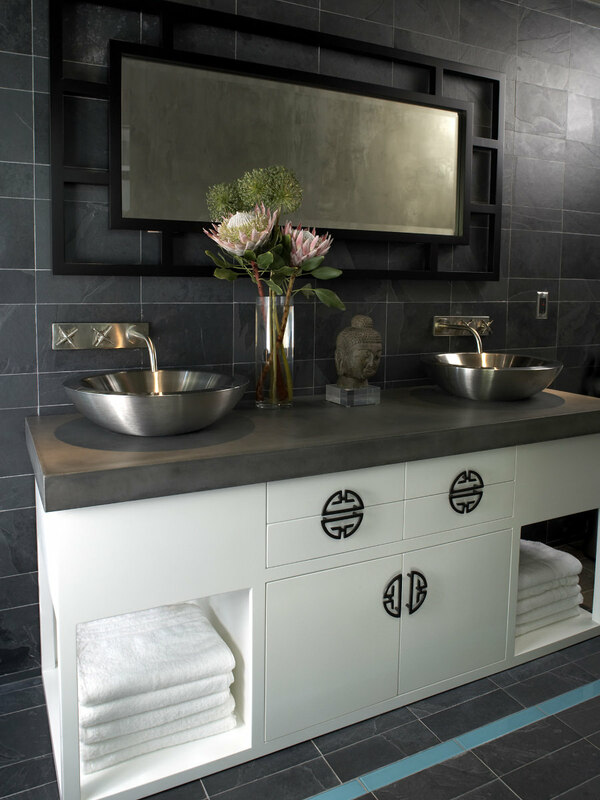 Give your bathroom an inspiration by narrowing a space on a refined palette. 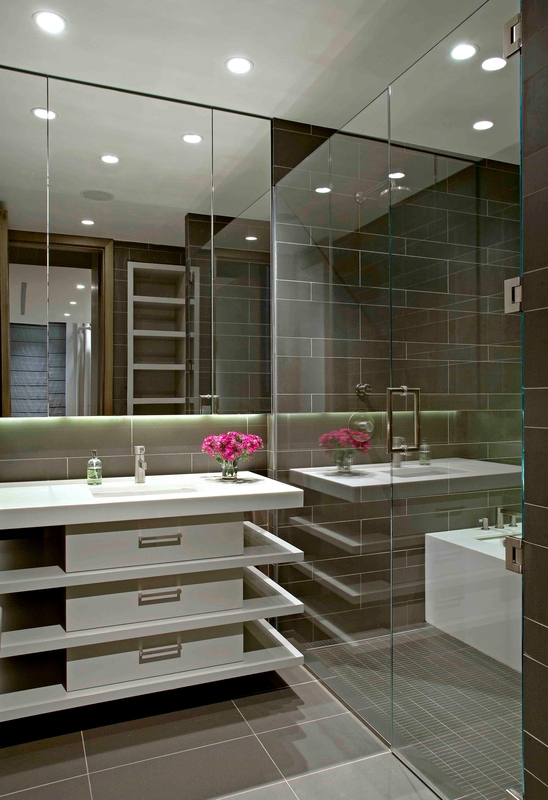 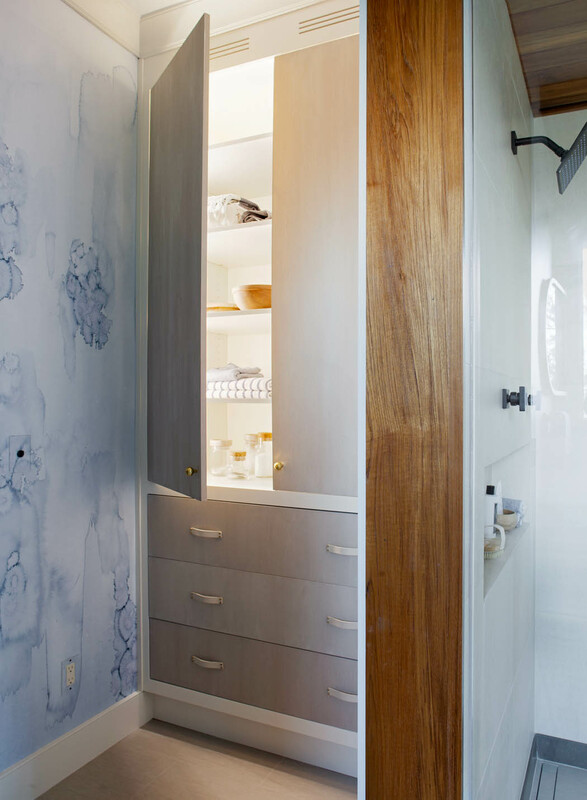 White with grey gives the space a modern look. 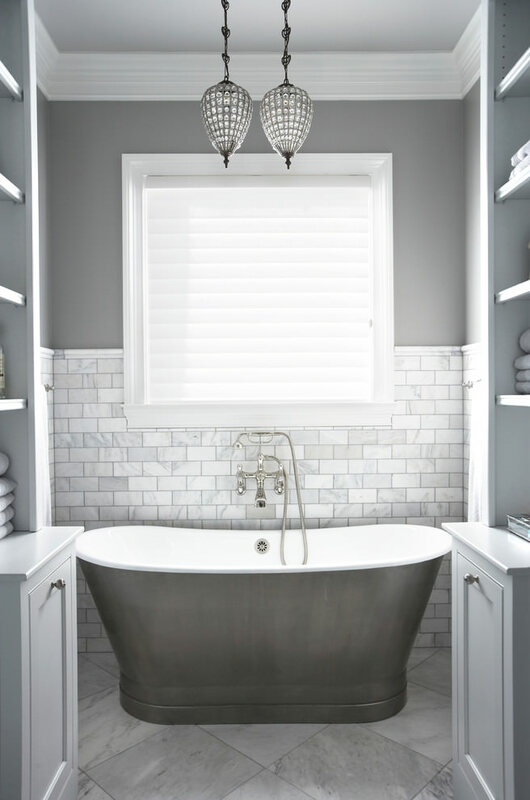 One look at grey bathroom could make one feel relaxed. 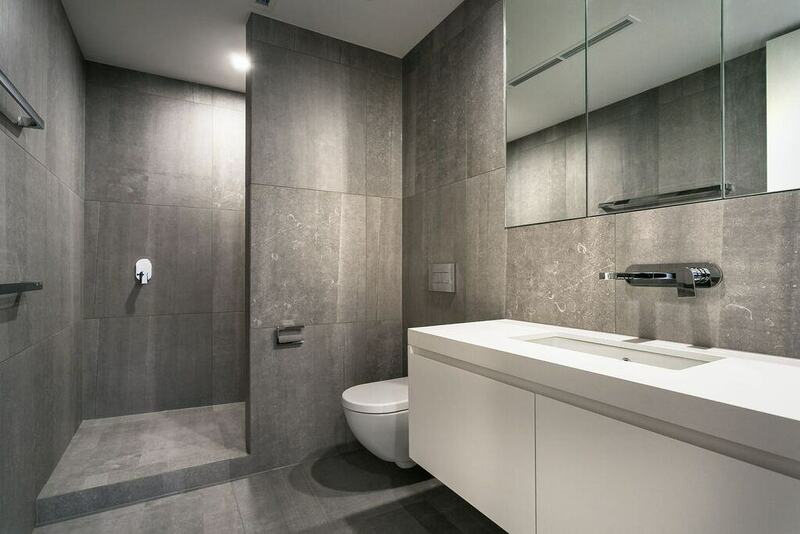 A modern bathroom with grey and marble ceramic tiles with the additional usage of wood gives a soft touch of nature, which also makes the entire look very decent and sophisticated. 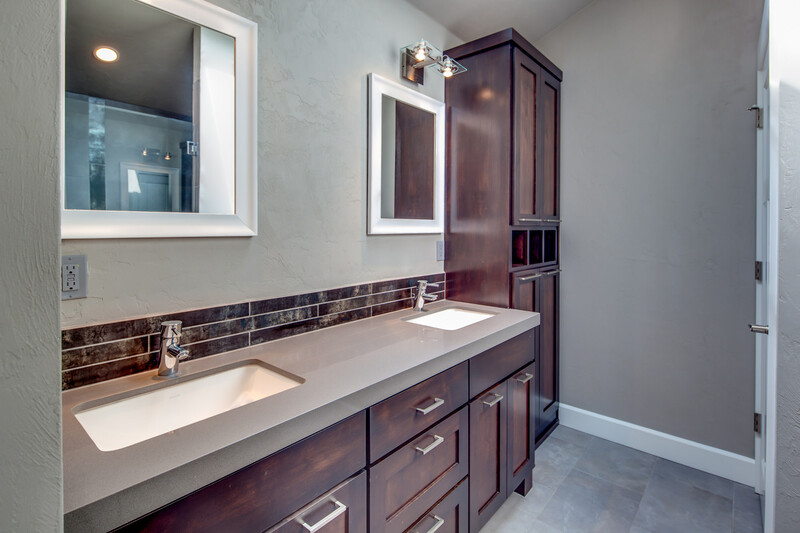 To achieve a more dynamic finish use natural stone tiles which contrast with smooth plaster walls. 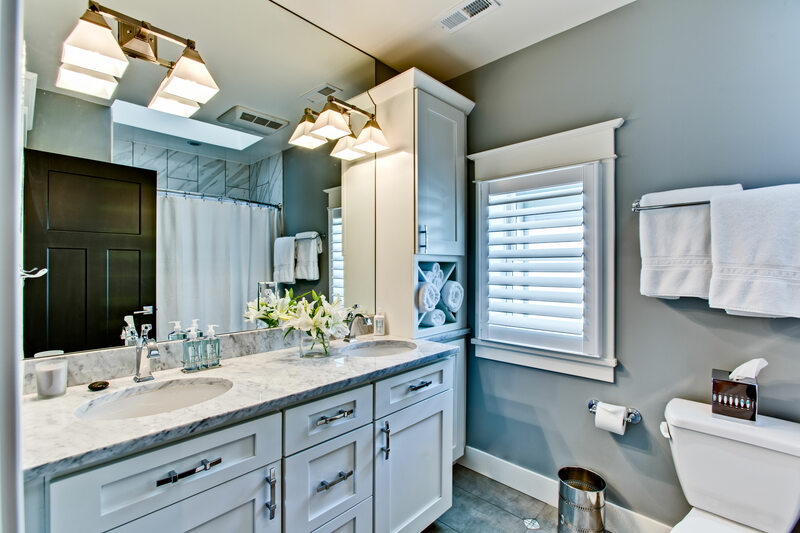 Choosing a color for your bathroom indicates your attitude.